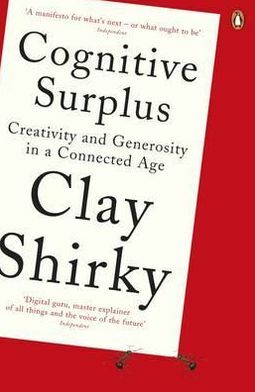 While learning about Clay Shirky’s idea of cognitive surplus, I immediately related it to work experiences. When thinking about cognitive surplus and joint effort generating collaboration, I thought about tools such as Dropbox and SharePoint. At my work, we use SharePoint to share documents with our department and project team. 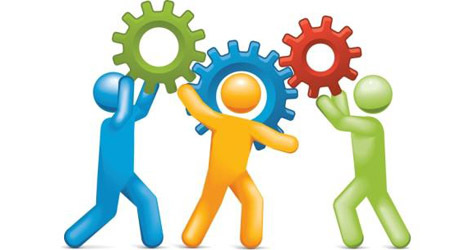 Using SharePoint allows a team to collaborate and work on one document at the same time. This tool allows for multiple editors. This is a great way to collaborate as a team. Dropbox is a similar tool that I used at a previous job for collaboration efforts. However, this does not support Shirky’s idea of people collaborating over the internet during their leisure time to benefit humanity. Work is not leisure time. While trying to come up with an idea or project that was similar to Ushahidi, I found myself struggling. It was easier to find less complex examples like the cat memes that were discussed. However, it was something that is heavily involved with this course that got me thinking, blogging! I believe blogging is a collective effort using the internet to generate cognitive surplus. For example, many people blog during their leisure time. Blogging, at times, is a joint effort amongst the writer and their commenters. Blogging creates value in the world by providing answers, personal experiences, and information to many of readers. Like early in the course, user generated content can be viewed from almost everywhere in the world. In this case, I believe this type of user generated content is a form of cognitive surplus. How would I benefit from blogging? For me personally, I read a few blogs daily. One of my favorite blogs is Paleo Mom. Her blog is very educational. I love stealing her recipes, gaining nutritional knowledge, and learning from her own experiences. I depend on blogs to gain recipes, workouts, and health knowledge. Readers’ comments are also very helpful. Sometimes, a recipe will not be exact and a readers will comment saying make sure you add a little more of this or take it out of the oven five minutes before. It’s a joint effort creating collaboration amongst the internet. I would definitely contribute my talents and efforts to this project. I definitely comment on blogs that I am reading and providing insight when I have it. In the future, when I have enough personal experiences of my own, and have a steady healthy lifestyle, I could see myself creating a similar blog and helping other people. However, I do not think all cognitive surplus is beneficial and worth wasting my leisure time contributing to. For example, wall cats. I would never contribute to this type of collaboration efforts because I see it as a waste of my time and it is not something I am interested in. I would focus more on projects and activities that are closely rooted with my individual hobbies and interests. Technological determinism and our global village allow us to have such collaboration efforts over the internet. 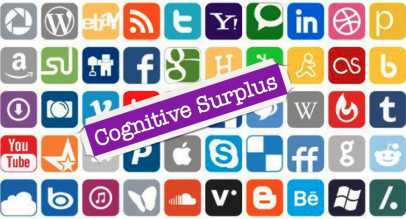 Since our world is much of a global village, cognitive surplus is seen much over collaboration tools used solely for internet purposes. I think younger generations are more apt to participate in this type of collaboration because as mentioned last week, younger generations are marketed more to picking up on trends that are displayed through the internet. Since the internet is such a large place for collaboration, it makes me think if collaboration will be hindered with or without net neutrality. The internet is such an effective way to collaborate with teams whether it is at work, school, volunteer organizations, etc. It would be a shame if people had to pay to use this type of cognitive surplus. Overall, I learned much during this course. I did not know what to expect when learning about communication in technology. However, I am glad the topics we have discussed were chosen because I learned a lot about issues and technology that I did not know much about. I hope you all enjoy the rest of the summer, and good luck with fall semester! Has anyone noticed the increased amount of advertisements on social media? It is starting to get a little out of hand. How do they know what kind of brands and advertisements I would be interested in? Sometimes I find myself seeing an advertisement for a brand that I was looking at on the internet a few days prior. Is this a coincidence? After watching the frontline video, I realized it is not a coincidence at all. Marketing is a huge revenue maker for social media sites. Advertisements are how they make their money. I understand that they need to make money somehow, but why has the advertisements and brand recognition become so heavy recently? Well, more companies are realizing just how important social media is to their marketing campaign. While searching for jobs, I have realized some companies hire people just to work on their companies social media sites. 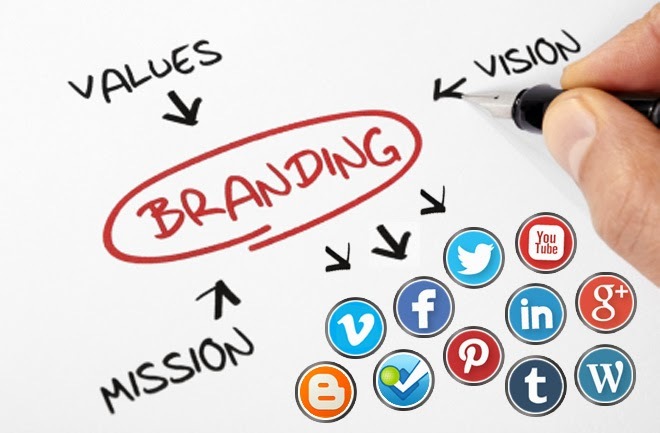 Is social media that important to a company’s marketing strategy? After this week, it proves that social media is essential to compete in today’s market. Has anyone else fall victim to acting as a free marketing robot for a company? Do you check in on Facebook to receive 15% off your purchase? Do you retweet a tweet to join a free chance to win a pair of your favorite shoes? Well, I do. The saying, “your customers are your marketers,” holds true in today’s business world. Marshall MacLuhan would not have been the least surprised by this. He predicted that this medium would change our lives and behavior. One of his most famous quotes, “The medium is the message,” says a lot about today’s trend in social media branding. In this case, the medium is exactly the message. 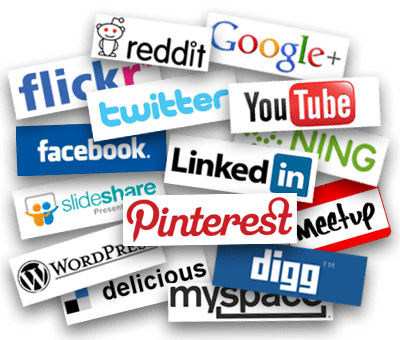 Social media and companies are using the medium of social media to directly create messages amongst users and loyal customers. However, although I was aware of branding on social media, I did not find it a terrible thing. Yes, it can be quite annoying sometimes, but it is very convenient when trying to find deals, coupons, and sales. I did not feel taken advantage of until this week’s readings and videos. However, social media and companies are just using our global village to their advantage. Can we blame them? Older generations are not served much by this type of branding and marketing. 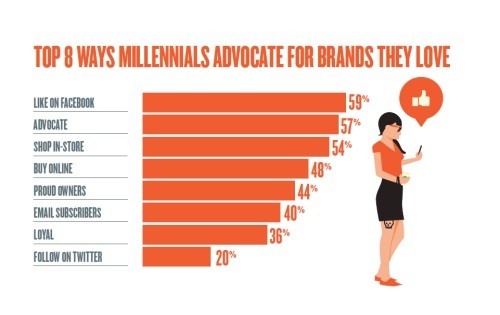 I believe that millennials are the main target to this new pattern of branding. While older generations can be served, I do not think they are as heavily involved with social media as my generation is. My parents have a Facebook, but they do not use it as frequent or for the same reasons younger generations do. I have noticed my parents use their Facebook mainly to keep up with high school friends, reconnect, look at pictures of friend’s families, and see what my sister and I are up to! They do not “like” pages or follow their favorite brands pages. I am not even sure they know that they can do that. I understand that some older folks are more tech-savvy and more keen to social media. However, I think the vast majority is not served. I have been aware of this type of branding behavior. However, I did not see it the way Frontline displayed the behavior. I do still enjoy following my favorite companies and brands on Facebook and somewhat marketing for them because I am aware of deals and I can inherit a few discounts ever so often. I think live tweeting during your favorite TV show somewhat falls into this category too because you are promoting a TV show and a network. Networks want you to tweet during their shows and create a common hashtag. I am guilty of this, #TheBachelorette. Overall, I do not believe that Marshall MacLuhan and Shirky would be surprised with this behavior. They understood how powerful technology was going to be, and they understood that our behavior and lives would be forever changed. This week’s topic, technological determinism, was very interesting. Although I did not completely understand what the phrase actually meant initially, I soon made personal connections to technological determinism while watching the videos and completing the readings. Could McLuhan see the future? How did he know our society would turn into a global village? I found the documentary, “Digital Nation,” to be quite fascinating yet alarming. There are so many disadvantages our younger generation is facing because of technological determinism and our digital nation. For example, look at the rising number of child obesity in America. Nowadays, children want to partake in less physical activity because they would rather spend their time playing video games or using other gadgets to occupy their play time. This is having an alarming effect on the health of our youth. In addition to this, as mentioned in the documentary, our younger generation is developing poor social behavior. With mobile phone and other smart devices, people have less face to face interaction each day. Some people would rather text someone that is located in the same house because it is easier, rather than physically starting a conversation with them verbally. This is very sad to me. I am an extreme extrovert. I love interacting with people and being active. I am a huge face to face person. I would much rather talk to someone rather than texting. I believe texting takes all the joy out of communication. Yet, it is sad that our younger generation is being exposed to this type of communication over face to face interaction. I believe this will have a huge impact on the development of soft skills. As mentioned be a lot of business professionals, younger generations are lacking soft skills that are hard to teach to professionals. These types of skills should be taught at a younger age. I believe children should only experience technology and technological determinism later on when they are already socially developed. Even though I ranted about how awful technology is, I also believe there are major benefits gained from entering a global village. I am a business student, so most of my interest with technology has a business flip side. Currently, I am interning for a major energy company. There are locations around the United States. Technology allows for telepresence. 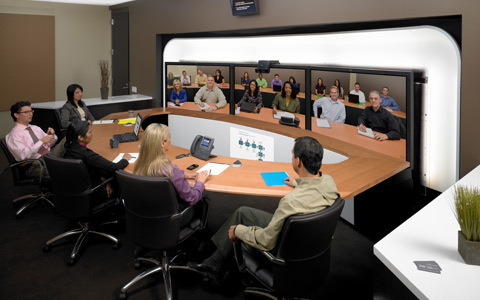 Telepresence saves time, travel costs, and creates efficient communication. I had the opportunity to attend a few telepresence meetings, and they were truly awesome! The room has a few screens that dial in different locations to attend the meeting. This allows my location to meet people from Houston, Columbus, Charleston, etc. It is amazing to have a meeting with all of these locations at once. These types of benefits are amazing for communication. It is easy to say that entering a global village has created younger generations to inherit weak social skills. However, these are the effects seen on the surface. Looking beyond the surface, there are some really great benefits. Moving on to extending McLuhan’s theory to the Internet and mobile devices, I believe mobile devices are a warm medium. Mobile devices all for participation from other and interaction. However, at the same time, mobile devices can take away all of our attention and cut interaction out from our company completely. For example, mobile devices all for interaction among many people, like social media. Texting allows for conversation. Social media allows for sharing. 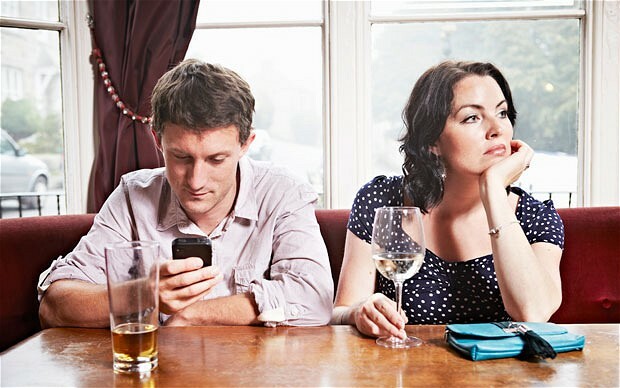 However, while people are engaging in social media and texting, they tend to block out the people they are physically with. This is why I believe it is a warm medium. As mentioned earlier, there are both positive and negative consequences of technology, in this case, mobile phones. Overall, I found this week’s topic very interesting. I was introduced to McLuhan’s theory and the “global village” in a previous class, so it was fun to actually have an idea of what this week’s topic was about! Usually, I have no idea what the weekly topics are about, and it is a complete learning experience for me. Just as last week, I was unfamiliar with this week’s topic. I am finding this a common trend with this course! I am excited that I am learning about so many new topics. I was completely unaware of network neutrality and the rules set forth by the FCC. After considering both sides of network neutrality, I understand where the FCC is coming from. Internet providers are somewhat monopolized, and without rules, they can do some pretty unfair acts. For example, Comcast was caught blocking some peer-to-peer networks. Without some rules put forth, situations like this can reoccur or they already have been behind the scenes. However, the court rules that the internet is not a “crucial” utility. I believe the FCC may win this appeal. If they do not win the appeal immediately, this will definitely change in the near future. I believe the internet is a crucial utility. Almost everyone uses the internet daily. The internet is part of our phones, which is a crucial utility. Our society is depending more on the internet, which I believe makes it crucial. Focusing on the situation where two internet companies start charging more for each other’s traffic, I do not think I have a definite reservation point. As I just mentioned, I believe the internet is crucial. I use the internet for school, news, communication, paying bills, shopping, etc. 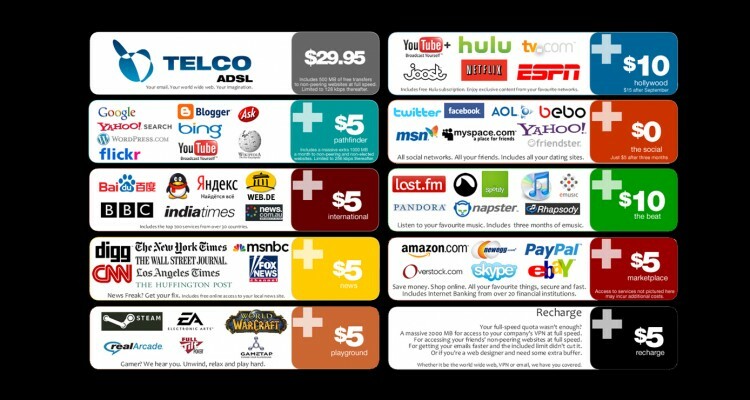 I do believe I would reluctantly pay a little more than I already do for internet. However, I could not see myself allowing myself to double the amount I currently pay for internet. Yes, people could just utilize the free public networks provided by some restaurants, libraries, hotels, etc. However, all these networks are not encrypted. Public networks are much less secure. I would not feel comfortable paying bills and going about my regular internet business solely using private networks. This is why I could see myself paying more for the internet. However, I would find an alternate way if the amount was extremely excessive. I do not see a lot of people paying a lot more for internet services or internet access. One of the great benefits of the internet is it is usually free or cheap. By making the internet more expensive, it will not be as desirable for people to use it. I know I personally would go back to paying my bills by mail and doing my shopping in person. Yes, the internet has created a great amount of convenience, but what is that convenience worth? What is the dollar amount? Although I rely heavily on the internet, I do see myself willing to unplug if this were to happen. I do believe if a decent amount of people sat the sidelines after an event like this, internet providers would be forced to lower their price. If the internet were to sky rocket in price, I would expect exceptional services. Also, I would expect there to be something new added to the service. For example, at my home, we have a home phone and internet provider, frontier. Frontier provides a discounted price by buying both internet and phone services from them. If the internet where to jack up in price, I would expect for the home phone service to be included in the new price or to decrease drastically. This could be a way that would make the internet price seem more reasonable. However, I would probably just try to find a cheaper alternative or simply just keep a data package on my phone. I have noticed that I do use my internet a lot on my phone and I could probably eliminate my desktop internet use if I strictly were to use my phone for internet. However, this would be a hefty internet/data package. Overall, this question was hard to find a definite answer for because most people greatly overlook the dollar amount associated with the internet because it is usually free or very cheap. I have taken advantage of this and the internet has become a crucial part to my every day. I do not remember the last day I did not go on the internet. Yikes! This is why I could see myself paying an increased price for internet services. However, I would not pay for something astronomic so hopefully this scenario does not happen! This week’s topic is quite controversial. I find myself going back and forth. I was hoping after learning more about the domestic spying program, I would be able to confidently choose a side. However, I feel as I am still on the fence. I will pick a side though! I believe the benefits of the domestic spying program outweigh the wholesale loss of individual freedom and privacy. Yikes, I hope I do not change my mind half way through this post! The program was created with good intentions in mind. President Bush created the NSA domestic spying program after the 9/11 attack. This program was implemented to stop future terrorist attacks and other catastrophic attacks to our country. However, this means our privacy is invaded in the process. 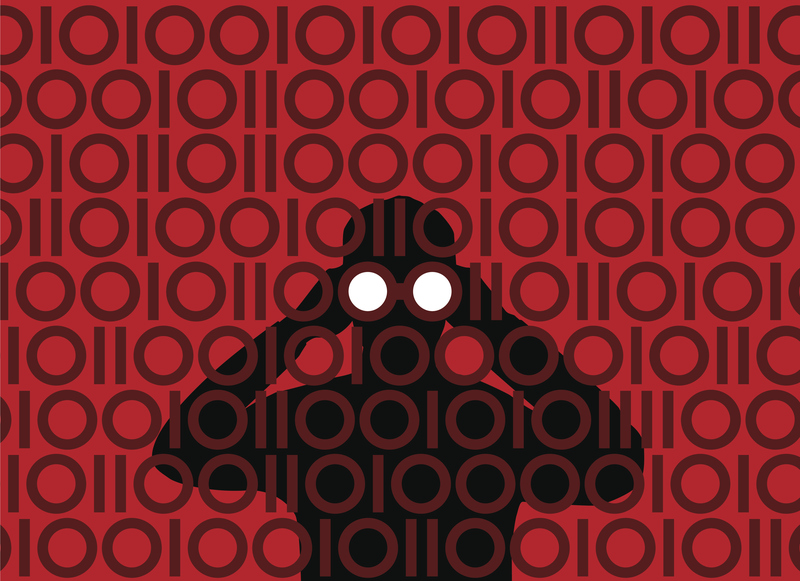 The program, without warrant, can access phone accounts and other personal information. This seems a little unnecessary. I do feel as my privacy is being invaded because officials can be accessing my personals information and records without me knowing. However, at the same time, I have nothing worth spying on. I do not think they will be wasting their time listening to the silly conversations I have with my sister. People believe just because NSA allows government official to spy on personal phone records and other information, that their information will actually be viewed and listened to all the time. For this reason, I feel the benefits of officials being able to track down threats and specific coordinates and phone calls of people who are endangering our country are more important. My position is mainly from a long-term stance. I believe NSA protects us in the long run. Although, it has major disadvantages, like diminishing our freedom, there is a long term benefit of protection. This brings up the question, is freedom and privacy more important that safety? To have the program ensure protection and be able to access information when needed to prevent or stop attacks, there are unintended consequences. However, I think these unintended consequences outweigh the circumstances that can arise from not having this type of protection. General Hayden introduces the “really big idea.” This is the concept the U.S. used when creating cyber-weapons to do the dirty work. Although this work was dirty, it protected us. The Stuxnet virus was used to sabotage Iran’s nuclear weapons. Yes this act seems unethical, but overall, it was a “good idea.” However there are consequences, unlike conventional weapons, these types of viruses and cyber weapons can be viewed by other people and used to sabotage and disrupt the U.S. Once a cyber weapon is used, it can be exposed, viewed, and then duplicated. There is a chance that this same type of cyber weapon can come back to haunt us. It is unfortunate that the code was exposed. I think this was a good idea and it had great intentions. Cyber weapons allow for attacks that do not result in people physically risking their lives. Cyber weapons are much more safe and a secretive way to attack. However, cyber weapons are very risky, especially if the codes are exposed. In a way, I believe these types of weapons are created and then uncovered and exposed to the wrong type of people. By using the Stuxnet virus, the U.S. could have handed over a dangerous weapon to the wrong group of people. While I was participating in the weekly reading and videos, I related the material to white hat hackers in organizations. In a way, I think they relate to cyber weapons. White hat hackers are hired to expose and attack black hat hackers. Even though this activity is frowned upon, white hat hackers provide a sense of security and protection. They help organizations put out security fires and prevent valuable data and information from being exposed. This week’s topic was very hard for me to pick sides. I do feel as my privacy is being taken away from me. However, looking at the big picture, I understand that this type of monitoring may be the best way to protect and monitor our country. I am a little uneasy about my level of privacy, but I do not find that is a major concern of mine. I have been using social media as a communication tool for a while. However, I never considered my postings or tweets as user-generated content. This phrase was completely new to me until this week’s readings. After learning about user-generated content, I realized I do not use my media sites to their full potential because I only target a couple dozen people. The reading used the example of, “what publisher only wants a dozen readers?” This is when I realized that my social media sites are more along the lines of general user-generated content because it is mostly just used to communicate with my friends and for general consumption rather than entertaining a large audience. The three main social media sites I use are Facebook, Twitter, and LinkedIn. I am friends with an average amount of people on Facebook. My Twitter account has around two hundred followers which is a rather low number compared to influential accounts. My LinkedIn profile is underused. My last internship dealt with a lot of social media advertising. I was advertising a lot of HR Lunch ‘N’ Learns and sending out weekly invites for Tchat. 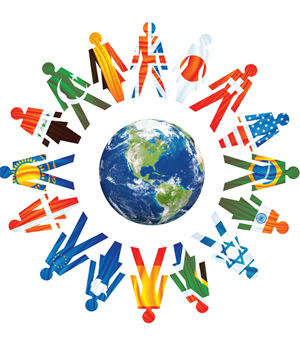 Inviting around thirty or so professionals from all over the world to Tchat via Twitter actually grew my follower base. By doing this, I was also able to reach out to a few professionals who worked for companies I was interested in and created potential job leads. When I first joined Twitter, I would have never imagined networking with professionals using Twitter. However, I found that this was a great source for doing so. During leisure time, I find myself reading a lot of articles the professionals I follow share on Twitter. I believe this is a great way to keep up with influential topics and business news. I find it more convenient to pull up an article from someone’s profile who shares the same interests as me rather than searching for these types of reading materials myself. However, I am aware of the hoax and fake information that is shared through social media. Sometimes I find myself reading an article that is obviously completely unreal, and I ask myself, who actually believed this was true and starting sharing this all around the internet? People need to become more aware of that is factual and what is not. 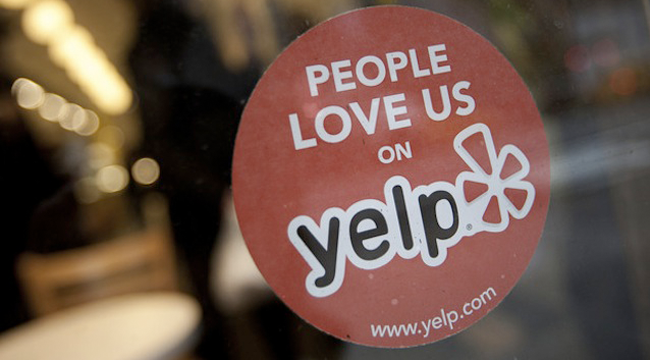 As mentioned in the readings, anyone can post user-generated content if there is an audience. Most of the user-generated content that is shared on Facebook is fictional. However, the audience finds it entertaining so they share it amongst their audience. I am noticing that more and more of my friends are sharing articles from unreliable sources. These articles seem like they are real. However, they are not. It is important for people in our generation to realize you cannot believe everything that is posted on the internet. This is actually one of my pet peeves, so my internet media diet steers clear from these sites. I always try to find information from online journals or credible sources. I make sure to follow influential credible people on Twitter, so I know their articles are coming from a reliable source. In addition to this, a lot of my media diet consists of postings from online communities I am a part of. For example, I read a lot of articles from SHRM since I have access to their online resources because I am a member. I am also an online community member to few different Facebook groups. I know, I just mentioned that a lot of the articles shared on Facebook are not factual, but I believe the groups that I a part of are reliable. For example, I am a group member of the International Paleo Movement Group on Facebook. This group monitors member behavior and removes people who are acting inappropriate. I have found this group as a great reference and resource to support me with one of my passions. I think this is a type of group who maximizes their audience and publishes great user-generated content. I find this week’s readings very interesting. When I was completing the readings, I found myself relating a lot of the content to people sharing fictional articles through social media. I personally related to this because my news feed is consumed of this behavior. I am now more aware of user-generated content and have a different view of how I want to publish my content on the internet. After reading the assigned material and listening to this week’s podcast, I became aware of a lot of technological history I knew nothing about. I had no prior knowledge of telegraph history. At times, I felt that I was swimming around in all of this new information about previous technological advancements and inventions, and I was just trying to keep up! Technology is very fast paced. Learning about the history of technology is just as fast paced as the technological interventions today! Amongst all of this information, I was able to find some common behavior and experiences different inventors encountered. One connection I was able to make was the need for community. As mentioned in the lecture, Morris had to reach out to Congress in order to receive financial resources to conduct his experiments and invent a better version of the electric telegraph. In the reading, “It Takes a Village to Find a P hone,” Evan used the public and community to retrieve his friend’s stolen phone. Without the involvement of others, the crime would have been swept under the rug. However, Evan was able to draw community in and gain enough resources to find the phone. Another reading that supports the need of community is “Sharing Anchors Community.” In this reading, Flickr depended on users to share their pictures and organize them by naming the pictures themselves. This allowed Flickr to automatically organize the pictures by the common names verse hiring outside resources and losing money. The need for community and people to use technology is vital for each invention. Without users, technology would not advance and inventions would not become successful. Early technology adopters play a huge part to this contribution because they adopt new inventions and help with their success amongst the entire community. Another common trend I noticed was that each invention was dependent on each other. In order for there to become advancement in a particular type of technology, the idea was created from a previous finding, experiment, or technology. For example, after finding a practical way in creating the electric magnet, two new inventions surfaced. In addition to this, the English telegraph was based of a previous related invention. The idea of creating Flickr was dependent on the need and idea for photo sharing. I believe there is a sense of dependency amongst technology. Better versions are always being created once there is feedback and results from the previous product. This was shown in the “It Takes a Village to Find a Phone” reading. Evan used three bulletin board messaging systems before a company was finally able to create a new version that was able to support the large amount of viewers. Take a look at how fast companies update their apps. Inventors are always finding new versions to improve. Along with similarities, I also found differences among how early inventors conducted their studies verse present scientists. One of the major shortcomings in inventing the electric telegraph was the inability to use long wires. The early inventors could only use short wires and they had no idea why. In the early 19th century, people were unaware that there was skin resistance in the wires. However, Joseph Henry was able to expose the problem between using short wires verse long wires. Morris did not know that Henry was able to successfully use 1,060 feet of wire to ring a bell. With this information, Morris could have found the problem faster. However, in early days, scientists did not have as many resources as they do today. Nowadays, scientists can access the most current experiments and findings because of the World Wide Web and other newly developed resources. I found this to be a major downfall for the inventors developing the electric telegraph. Based on this week’s readings, I feel that I am more aware of the history of technology. I now understand that even though the looks of technology have changed tremendously, the idea behind the original inventions are very similar. Technology depends greatly on community and prior inventions in order to create adoption and ultimate success.